Here’s a bit about what was involved in bringing each of my books to `frutation’ as they say in these parts. This was my first book, the first one I ever had published, and the one I was most proud of, both for its quality, and for what I had to go through to get it published to begin with. I initially wrote this book by hand on yellow legal pads, and would then carry the yellow pads to a typist on the other side of town, out by the airport, to have it typed. I was unable to make changes, and if there were any typographical errors, that was too bad for me, as it was difficult to make changes without altering an entire chapter. At this point, I knew absolutely nothing about computers, but everyone I spoke with told me that I should get a computer. One thing I knew was that no publisher was going to even look at a manuscript that wasn’t properly typed and presented. Additionally, I didn’t have an agent, and I knew nothing at all about computers. At length, I realized that the book wasn’t going to ever be finished or get published unless I got a computer and learned how to use it. With that in mind, I took some commission money I’d received from country singer Ray Price, and bought a computer from Office Depot. I quickly taught myself the minimum I needed to know in order to type and create a primitive manuscript on my own. In my innocent ignorance, I imagined that I could simply write a couple of chapters, get a big advance, and finish the book later. A friend of mine who’d had four books published, and a network `movie of the week’ told me that I had to get an agent if I wanted to be published. I looked in the annual `Writers Market’ book which listed literary agents, and publishers, with their company phone numbers and addresses. I called numerous agents in New York and attempted to sell them on my book, which I’d entitled `Hillbilly Heaven.’ Most every agent I contacted had no interest in the book, or its subject matter. I’d go to the trouble of having copies made and sending them to those few prospective so-called literary agents who’d agreed to have a look at what I’d written. Basically they couldn’t care less what a bunch of hicks were doing in Nashville with country music, that was if the terms country and music could legitimately be used in conjunction with each other. I saved each rejection letter as a badge of honor, intending to send each of them reviews when I finally got the book published and it became a bestseller, but I was getting discouraged. At some point during this dark time, I had lunch with friend with whom I’d worked briefly after the demise of my company, In Concert. He asked me casually if I was still writing my book, to which I replied that I was taking some time off, but that it was wearing me out. His advice on the subject got me immediately motivated to press forward harder. Basically he said, that the artists I’d represented, famous though they were, would be dead or insignificant soon enough, and that if I didn’t finish it and get it published quickly, nobody would care, one way or the other. I realized that he was right, and that if I intended to be a successful writer, I’d better get busy. Shortly thereafter, I met a Nashville literary agent who’d achieved minimal to moderate success. I went to meet him at his place in what I regard as a less than desirable part of town. He lived in a clean but inexpensive and unremarkably generic apartment, furnished with low end furniture. I’d expected to meet someone with at least the same standard of living as myself. I wasn’t encouraged by what I saw. His words were even less encouraging. He stated frankly that nobody in New York was interested in country music, and that he wouldn’t be able to represent me, since nobody would buy my book, ever. The host of `Nashville Now’, a long running, successful, highly rated nightly television show, Ralph Emery was then at the top of the New York Times bestseller list, even though nobody in new York knew who he was. Not surprisingly, given my nature, I disregarded his opinions, and concluded that while he might be `right,’ technically, what he said did not apply to me. I kept working. By now, I’d been refused representation by all of the many so-called literary agents I’d spoken with. I regarded them with disgust en masse, as lazy, ignorant, and basically useless. I say this because as an agent in the music business, I and/or my company, or any of my contemporaries in that field, made 10% commission from every engagement any of our artists played. I had numerous famous and well-known acts performing nationwide nearly every day, in all price ranges, and thus a constant income stream. I knew where my money was coming from. I earned it daily. It was difficult to imagine that any but a few of the so-called literary agents at the very top of their field, had even two dimes to rub together. That being the case, it seemed to me that they should get off their lazy asses and get to work. The actual fact of the matter was that I’d probably completed more deals for more money for the people I represented, than any of them. With that in mind, I decided to represent myself. I realized that I could continue wasting time attempting to explain myself to people who didn’t know what I was talking about and didn’t care, or I could get busy. In legal circles the timeworn maxim `the man who represents himself has a fool for a client’ is more accurate than not, however, I knew that I could get anybody on the phone. Things continued much as before, with me sending copies of what I’d written to publishers I’d contacted by phone. I avoided the advice of various authors’ magazines which directed aspiring authors to send a query letter first, and that it was `frowned upon’ to attempt to contact anyone by phone. I always spoke with someone specific first so that my manuscript didn’t end up in the proverbial `slush pile.’ After some missteps, I discovered that it was foolish to send a manuscript to someone who had the ability to reject my work, but not the authority to make a deal. I just kept working. I was beginning to feel a bit like the genie trapped in the bottle who would grant three wishes to anybody who let him out. After awhile, he got tired of waiting and determined to kill whoever released him. I was sort of at that point. Anyway, one cold, dark, January day in 1991, I received a call from Hillel Black of Carol Publishing in New York City. He made certain he was speaking with me, and then said “We want to publish your book.” After all I’d been through, I guess I should’ve been happier, but he said that out of my $12,000 advance I would have to pay $4000 for editorial work, and another $1000 for an index. I told him thanks, but that I didn’t want to pay for an editor or an index. In that case, his offer would only be $10,000. I accepted his offer on the spot. After all, I’d been struggling in the darkness. I was sort of numb at first, after all I’d been through, but it didn’t take long for what had just happened to actually sink in. I was ecstatic, but immediately got to work to make the book better. Secretly, I was afraid that he would change his mind, and I was never certain the book would really be published until I actually had it in my hands. The offer from Carol Publishing was the only one I received. I was that close to never having been published. One Friday, my editor Hillel Black called me and asked me if I knew anything about `Branson, Missouri.’ I told him that I was familiar with it, and in fact had country legend Ray Price scheduled to play there all summer. He said that he was thinking about publishing a book on the subject given its popularity. By Monday morning, I’d decided that I wanted to write the book, even though he hadn’t specifically asked me to do so. I called him up, made a deal over the phone, received half of my advance, and then got to work. A couple of information gathering trips later, and I had enough information to write the book. 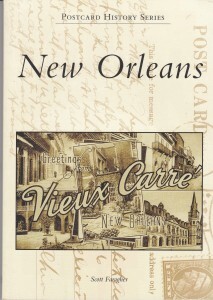 Katye Harrington, my co-author on the Peabody Hotel book (see below), contributed several sections, and we visited Ray Price a couple of times there. Branson was home to the famous `bald knobbers,’ a once famous band of outlaws, as I recollect. The name to me sounded more appropriate for `working girls’ if you get my drift. 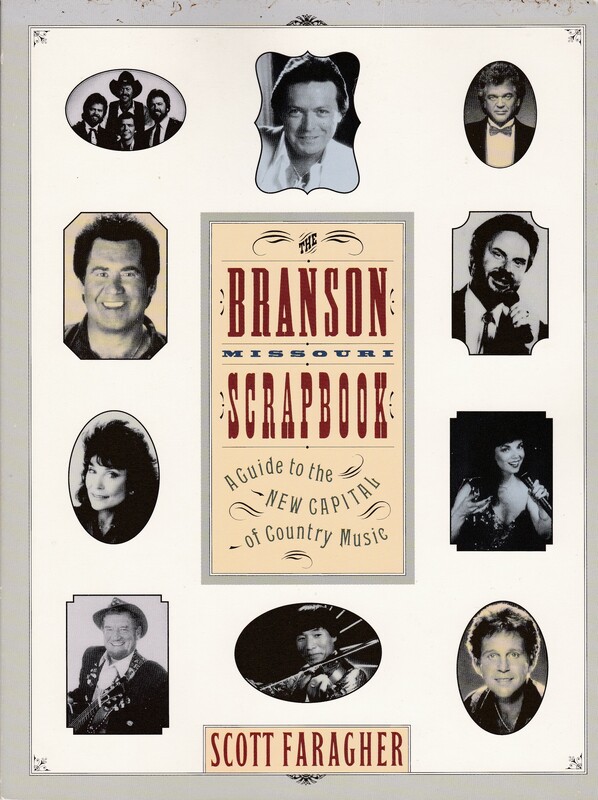 In any case, it was fun writing the book and visiting Branson on several occasions. The land in north Arkansas and southern Missouri is truly some of the most beautiful in America. The production quality of the Branson book was sub par by anyone’s standards, and didn’t sell well as a result, but it was my 2nd book for a major New York publisher, and I was paid well enough at the time. There were two funny stories associated with the publishing of this book. In a section regarding one of the large lakes there, I just happened to casually suggest that male swimmers should be especially careful swimming in one particular lake, in that snapping turtles in the area are well known for targeting male genitalia. When I received the galleys, that is the unbound proof pages to check over, I noticed that my recommendation to swimmers had been quietly removed. After the book had been published, I received a terse letter from the editor of a local Branson paper I’d never heard of, berating me for not mentioning her paper. She also attempted to insult me by accusing me of having written the book `just for the money.’ I sent her a kind letter expressing genuine regret at not having mentioned her paper, but said honestly that I’d never seen or heard of it while there. I also suggested that if she did not especially like `money,’ that I would sincerely appreciate it, if she would send me any extra money that she might not need or want. 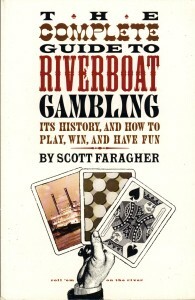 At the time this book was written, riverboat gambling was just starting in earnest, almost spontaneously, in Mississippi, Indiana, Iowa, and other places. The only problem is that there were so many different, and generally conflicting rules from state to state, that nearly every potential gambler was confused. I think Iowa at the time, had a maximum of a $5 bet, while it was much higher in other states. In Mississippi, the law required that the actual casino must be in water, although the rest of the building was not subject these same rules. What this meant was that large ponds were dug on dry land near the river, with the casino itself floating on a fixed barge, with the supporting structures, like hotels and restaurants, built on surrounding land. Other states required that gambling could only be conducted while the riverboat was actually underway. Some states required that gambling could only take place while the boat was docked. Anyway, it was an interesting subject to me, as I had good friends in Tunica, Mississippi, so I was aware of the developing situation there, before I accepted the assignment. The book did alright and served its purpose, though like my later, Nashville guide, nearly everything written in the book has since changed. I was in New York City in December, 1995 for a showcase at the Mercury Lounge with an artist I was managing at the time who would soon self-destruct careerwise, much to the unbridled joy of everyone who’d been associated with him. He’d wanted me to come to New Jersey and spend a day with him at his mother’s house, listening to him brag. No thanks. It was sunny and warm, in the high 60s, very nice for New York in December. Instead, I had lunch with three of my closest friends (me, myself, and I) at Darbar, an excellent Indian joint I’d visited before. Then, before hitting the Met, I stopped by 600 Madison Ave. and made a deal with Birch Lane and Hillel Black to write another book for them, my fourth, on what steps were necessary to make it in the music business in Nashville (and elsewhere). By now, I knew the drill. I negotiated a fair advance and began writing the book as soon as I returned to Nashville. The book, to the best of my knowledge, was not highly reviewed, but what reviews it received were favorable. 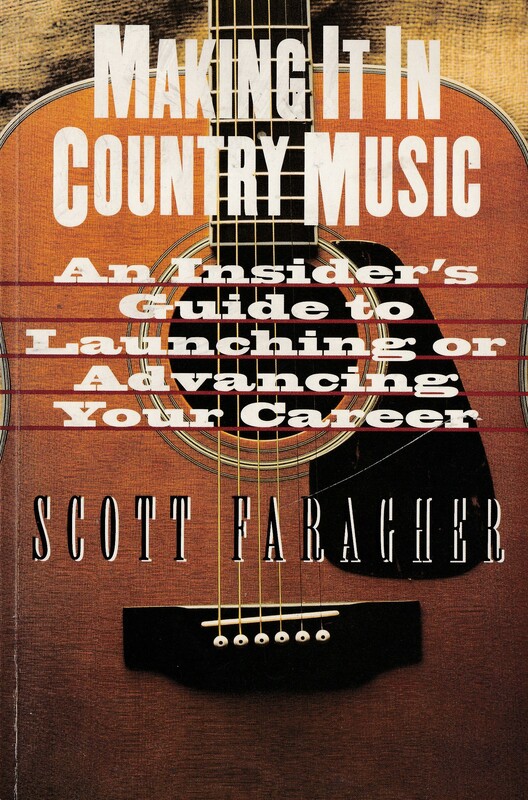 In this book I explained the role of the various players within the music business that an aspiring artist, or even an established one was likely to meet, and how to deal with them. Like my first book, it explained the way things really work in the real world, not theory written by academicians and lawyers who’ve never been involved other than at the distant fringe of the real music business. Hillel Black, again edited the book, cutting more than half of the 50 page chapter on artist management, and artist managers. At this point, I was tired of hillbilly, and other singers, so I really didn’t care one way or the other. Nashville publisher Cumberland House had been started by Ron Pitkin, who’d been involved with the unexpected runaway bestseller entitled, `Life’s Little Instruction Book’ written by a local Nashville attorney. I called Ron, met with him, and we concluded a deal over lunch. I would receive an acceptable advance, to write a guide to Nashville, with half up front, and the other half within 30 days of the publisher’s receipt and acceptance of the manuscript, as usual. The book was completed as agreed upon from my end, but when published, its images were in black and white rather than color, like they were supposed to be. At that point, there was nothing I could do about it. A friend of mine bought a copy recently at Nashville’s Barnes & Noble at Cool Springs. In the last 17 years, the only thing in that book which is still valid, is the book’s title. I was in Chattanooga, one of my favorite places, when I saw a book entitled `Chattanooga in Vintage Postcards.’ The book was priced close to, but less than $20. It contained around 200 images of Chattanooga as it had looked in the past, mainly, though not exclusively, through old postcards. 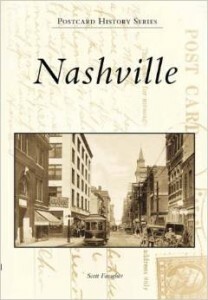 Anyway, a similar book on Nashville, with myself as author, seemed like a simple enough project, so I called Arcadia, spoke with the editor, Mark Berry, and based upon the fact that I’d already had three books published, struck a deal with Arcadia to write a similar book on Nashville. Being a Nashville native, and having literally walked most of the streets as a teenager just to see what I could see, I felt myself well qualified. Arcadia’s marketing strategy was not targeted nationally, as with other publishers, or even regionally, but more specifically, locally. This is a brilliant approach in that the target market for every book is focused directly at a specific audience. Not only that, but there was literally no reason that such a book should not remain in print forever. In fact, the company had more than a thousand books in print at the time. 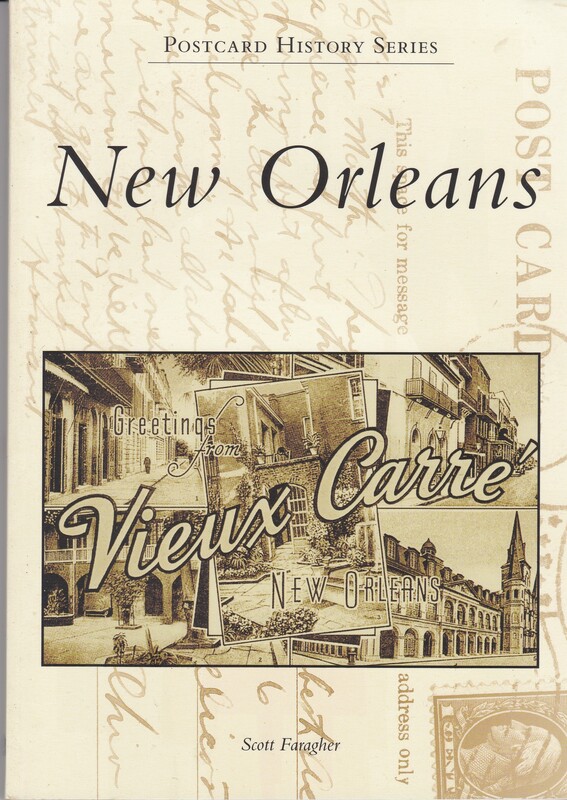 Since the Nashville book had been easily and quickly completed, and I spent a lot of times in New Orleans, I made another deal with Mark Berry at Arcadia, to write a similar book on New Orleans, again agreeing, this time in advance, that I wouldn’t have to fool with any formatting, and that book was also published without incident. So far, I’d established a reputation as being pleasant and easy to work with, with every book I’d written. I was still concerned at this point, that it was difficult to get published, even though I was personally finding out that it wasn’t really that hard. I’ve always liked Memphis, as it’s completely different from Nashville, and since the first two books with Arcadia had come off without a hitch, I decided to write a similar book on Memphis. I was interested in establishing a reputation as an author capable of writing almost anything, and Arcadia, while regional, is a major publisher. I like Memphis, have an extensive personal history there, and several really good friends. I also liked the idea of Arcadia being located in South Carolina, as opposed to New York. As a writer, I felt that anytime a publisher could help dilute the New York monopoly, that myself, and all subsequent authors stood to potentially benefit in time. I co-wrote this book with Katherine Harrington. In terms of quality, Schiffer is noted for publishing the absolute best quality books on any subject they tackle. I thought that I should call them at their office in Atglen, PA, and see if they would be interested in publishing a book on vintage and collectible beer signs. You’re probably thinking, `Who the hell gives a damn about beer signs?’ It is indeed a legitimate question, but surprisingly enough, there are people who actually collect them, myself included. In fact there is an entire category of collectibles which fall under the category of `Breweriana.’ The truth is, there are some people who collect almost anything. When I was first informed at age 14 or 15 that a friend of mine had started collecting beer signs, my question was `Why?’ I was told that they were `really cool.’ At that point I began noticing them, liked them and started figuring out how to get them without having to pay anything for them. With that in mind I would go to taverns and ask the proprietors if they had any old signs they didn’t want. The answer was almost always `No, and beat it!’ but not always. The most logical place to get signs was at one of the several Nashville beer distributors, who for the most part, believe it or not, would actually give us beer signs. Some were new, literally in their boxes. They were in our opinion, works of art. Many of them were colorful, beautifully designed, and had sparkling lights and electric motors. Some resembled lanterns, others were modeled after pocket watches and hung from the ceiling and rotated. They were all beautiful. The strategy we developed was to ask at the `advertising man’ at the outset if he had any old or broken signs they were no longer using, or didn’t want. This would often get us inside their `sign room’ where everything was kept. We often left with not only old signs, most of which merely needed cleaning up or a new bulb, but with new signs as well. We were soon well known to everybody at all of the distributors. I learned to successfully ask people for what I wanted, to accept rejection, and, if necessary, to develop a better strategy. As our collections increased, we would sell duplicates to friends for gas and beer money. Essentially, we succeeded in creating a viable market where one had previously existed only potentially. I was always able to make money selling beer signs, in fact, all the way through college. Anyway, Peter Schiffer agreed to publish a collectors book on beer signs, but wouldn’t give me an advance. I didn’t mind not getting an advance, as it had worked out well with Arcadia. Schiffer sent a photographer and his assistant to Nashville for several days, paid their hotel, transportation, salaries, and meals, all of which were subsequently charged against my future royalties. 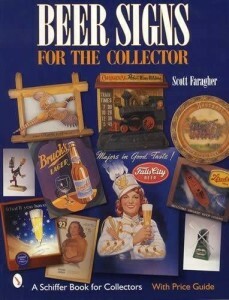 Long story short, they published a beautiful full color book entitled `Beer Signs for the Collector.’ Of course, I literally never even made one penny on the book, ever. While the photographs taken by Schiffer’s photographer were very good, I could have done just as well myself, but didn’t know it at the time. 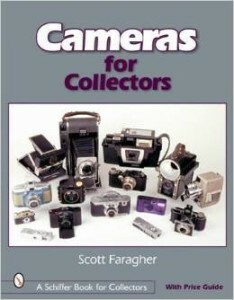 But before the book had even been published, I’d made another deal with Schiffer to publish a second book, this one on vintage cameras, under the same terms. I’ve always been fascinated with Chattanooga, ever since I was a child. I remember stopping in Chattanooga every summer on the way to Daytona Beach, and then attending summer school at Baylor, and really getting to know my way around. It was a magical place in the 1960s, and I enjoyed my time there. On Saturdays, street preachers would come downtown, and stand shouting on corners, and the famous civil war locomotive, `The General’ was on display in an old railroad station near the Read House hotel. Now, with the Tennessee Aquarium, Ruby Falls (where I’d worked in college), world famous Rock City, and a revamped downtown, it was time for a comprehensive tour guide. The book I wrote was designed to be a companion volume to my Nashville guide, and was very similar in appearance physically. At that time, there was no interest in Chattanooga among any of the publishers that usually published travel guides, such as Compass, Rough Guides, or even Cumberland House, who’d successfully published my Nashville guide. I believed in the project and made a deal with the then owner of Lookout Mountain’s Chanticleer Lodge, a unique 1930s hotel, comprised of stone cottages. When the book was published, there was little if any attempt at distribution by the publisher, an individual, and the image quality was poor, overall. I never received any money from the publisher for this book either. 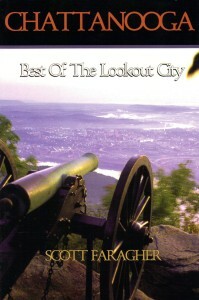 There was no other guide to Chattanooga then, despite the growth of the city. The mayor of Chattanooga at that time, was Bob Corker, (now a US senator from Tennessee), also a Sigma Chi, as am I. The city of Chattanooga was at the time placing television ads on Nashville (and other cities’) television stations promoting Chattanooga. One would think that the mayor’s office, or the Chamber of Commerce, or the Visitor’s Bureau would have been interested in sending the book to potential clients, but such was not the case. I contacted Corker’s office, sent a letter, and a copy of the book, but `Brother’ Corker didn’t even have the courtesy to have a secretary, or anyone else contact me, or even refer me to someone in his office. He didn’t even respond. He, like all politicians, is, in my opinion, useless. 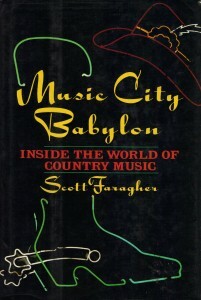 The book was well written, and I was qualified to have written it, having attended the University of Tennessee at Chattanooga for two years, booked many artists into various venues there, including the Memorial Auditorium, the newer auditorium, which resembles a short beer can, the annual Riverfront Festival, various clubs, restaurants, and other places. I still love Chattanooga, but as far as my book was concerned, when I realized that nobody was interested, even in Chattanooga, I said, `to hell with it,’ and moved on. I didn’t make any money off of this book either, ever, since all of the expenses involved with photography, transportation, salaries, lodging for the photographers trip to Nashville, was charged against my future royalties. The book was interesting and well done visually. Just as before, the same photographer and his assistant got a free trip to Nashville at my expense, and photographed all of my cameras. Again, I could have done this myself and saved all the money which was charged against my royalties, but I didn’t know that then, since I hadn’t yet seen the finished beer sign book, as it was still in production. Long story short, Schiffer published a very nice full color book, but once again, I made no money, literally nothing. I was angry at first, especially upon realizing that I could have easily done just as good a job photographing everything as the guys Schiffer had sent. I eventually realized that my failure to make any money at all off of two very nicely done books, was to some degree, my own fault. I’d had the option of taking the pictures myself, and had chosen not to do so. 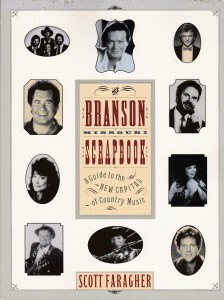 In my defense, the build quality of my book on Branson, Missouri was so bad in terms of the quality of the images they used, that I didn’t want my name associated with anything else of that might look that bad, so I was kind of gun shy, and I knew Shiffer was noted for high quality books. Now, if I should want to see some old beer signs, I can just look on ebay, click, and save any pictures I might want. I doubt that Schiffer, or anyone else would publish a book on beer signs now, so I guess I appreciate their work, even under the circumstances. However, every time I see any book from Schiffer, I can’t help but wonder if any of their authors ever get paid anything, or if they, like myself, are used solely to provide jobs for company employees. I looked at my losing deals with Schiffer as lessons learned, and dues paid. Next! While at the Peabody Hotel In Memphis, I noticed that there was no book about the hotel, despite the presence of a news stand, which sold a few other books as well as newspapers and magazines. This shop was operated, along with three others in the hotel lobby, by the Lansky family. Bernard Lansky, who was still alive at this time, had been Elvis Presley’s tailor in the early days of his career and still had a clothing shop in the Peabody. I spoke with His son, Hal Lansky, who was open to the idea, and agreed to stock and sell a book on the hotel, if one was available. 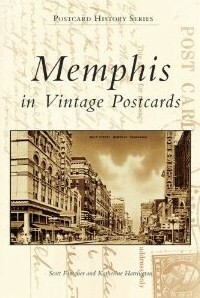 He was already selling the `Memphis in Vintage Postcards’ book and doing well with it. I told him that I’d get going on the project. I enlisted the aid of Katherine Harrington, who’d worked with me on the Branson, Missouri Scrapbook, and we went to work. I submitted proposals to various publishers in New York, and elsewhere, without success, still working on the book, all the while, determined, as usual, to do what I intended to do. Most of the editors I spoke with were only concerned with marketing books nationally, even though some of them had actually heard of the hotel. At length, I made a deal with Arcadia. As with the other three books I’d written for them, their marketing was specifically local, which was fine with me. The turnover at the Peabody, as I recollect, was more or less every three days. A $20. book which gave a complete history of the hotel and which had lots of pictures, was a great souvenir which could easily fit within one’s brief or suitcase. Again, there was no reason why this book should not be in print forever. By the time the book was nearing publication, I again received a `bookbuilder,’ as I had with my three previous books, which I again disregarded. I turned in the completed manuscript when due, as agreed. I soon received a call from someone at Arcadia other than Mark Berry, saying that I needed to format the book using the `bookbuilder.’ For some reason, they’d dropped my royalty to 10%. I’d agreed to that as the path of least resistance, since nobody else was interested and I didn’t want to fool with publishing the book myself. When I asked to speak with Mark Berry, I was told that he `was no longer with the company.’ Instead, I got some female editor with an attitude, but as far as I could tell, nothing to justify it other than her own high opinion of herself. I don’t allow anybody, ever, to tell me `what I need to do.’ I told her that I had not formatted the first three books and had no intention of formatting the book on the Peabody Hotel. That was the end of the conversation, and that was that. At length, someone was assigned in house to format the book, but whoever it was didn’t know anymore about formatting books than I did. When I finally received the galleys, that is the unbound proof pages, I saw that a substantial part of the text had been removed to fit within their precise across the range number of pages. And this is one of my real pet peeves, that somebody with absolutely no knowledge whatsoever of the actual subject matter involved, would presume to determine which parts of any book I (or anyone else) might ever write, should be removed. I’m not talking about corrective punctuation, or perhaps rephrasing a sentence here or there. That’s what an editor is supposed to do. 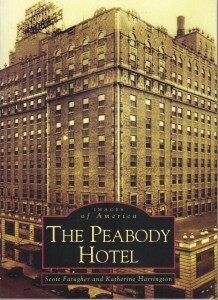 The Peabody Hotel had been sold at auction on the courthouse steps, and the editor cut most of the details of the interesting events on both sides of that, but more vexing still, was their wholesale removal of my interview with the architect who’d redesigned the interior of the hotel, shrinking it from the original 600+ rooms to around 400. How he’d moved, reconfigured, and reconstructed existing walls, and everything associated with his other work, was very interesting, not just to me, but in general. Additionally, some of the captions were entirely wrong, some were repeated, and worst of all, there were many pages which were mostly blank beneath a single picture and caption. My point was that the text which they had arbitrarily removed could have easily fit in the numerous half pages that were empty. Additionally, some images instead of being bordered at each side of the page, simply extended off the side of the page, making the book look poorly done. None of this would have ever happened if Mark Berry had been the editor as he had on the first three books. Imbeciles all! Suddenly, since I’d complained about what was obvious to anybody who knew anything, I became branded as `hard to work with.’ If by meaning that I have little patience with morons, yes, I am indeed `hard to work with.’ When my editor at Birch Lane/Citadel, Hillel Black had questions, he called me and we discussed them, but then he was a publishing veteran, not some amateur with an attitude and nothing to back it up. That having been said, the book sold well, and continues to do so, and Arcadia still publishes books which I like, and sometimes buy. Also, by this time I was mad at myself for having accepted a 10% royalty, something I determined not to do again. I received a call from Martha Zenfell from London, at Insight Guides. 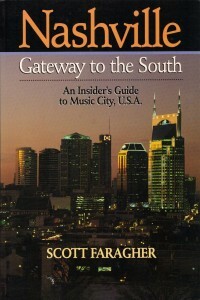 I’d contacted her earlier about writing a guide to Nashville, something I’d wanted to do. 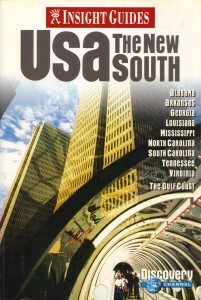 She’d not been interested at the time, but kept my contact information, and now, several years later, Insight Guides was publishing a book entitled `USA The New South,’ and wanted to know if I’d be interested in writing a chapter on Nashville. I was told that since there were many contributing authors, they would only be paying me a flat fee. It was the first, and only time I’d been asked to write without any royalty. It was fine with me. I wrote the section on Nashville, and also one on Chattanooga. It was a pleasant experience. While I was glad to write a book about Porsche in general, I’d never actually owned any Porsche other than 928s. A friend had bought a new 914 in college, and I thought it was a superior design to the 911 in that the engine placement was mid-engine, ahead of the rear axle, as with the first Porsche ever made, 356-1. Actually, I’ve never really wanted a 911 or any of its derivatives. An engine located behind the rear axle is bad design, and as one former Porsche upper management official told me in relation to my question in that regard, “An arrow fired backwards, will at some point regain its proper trajectory.” He was receiving a pension from Porsche at the time and refused to be quoted directly, but what he meant was that putting an engine behind the rear axle is both stupid and dangerous, which of course, in my opinion, as well as his, it was, and is. That having been said, The front engine Porsches, the 924, 944, 968, and 928, as well as the large selling, but under appreciated 914, were indeed interesting cars in their own right, as are the current Cayenne SUV, the mid-engine Cayman, and the front engine Panamera sedan (which bears more than a passing resemblance to a huge tropical roach, in my estimation). The book recouped my advance, made me a little extra, and I was proud of the production KP did, and happy with the way the book turned out. 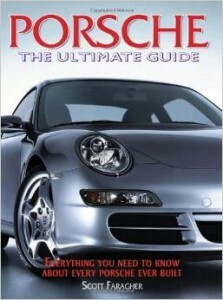 My only objection was the title `Porsche, The Ultimate Guide.’ The book was never intended by me, at least, to have been anything more than a fairly thorough introduction to the marque, which in my estimation, it was. In fact, I’d written in the book’s preface that my book did not deal with Porsche’s racing history, but only with cars sold in the American market. For the title, of `ultimate guide,’ I must defer to author Karl Ludvigsen’s `Excellence Was Expected,’ the definitive work on the subject of Porsche for all time. After I made the deal with KP, I secured a publishing agreement with Crowood Publishing in England to write a book specifically on the Porsche 928. The advance was minimal, but I don’t think that they planned on selling it anywhere other than the UK. These were my first, and last automotive books. I learned a valuable lesson on this occasion, and that is, never have two books due to two different publishers at the same time, especially in the winter. When both books were due, I had the flu or some equally pernicious and debilitating malaise. KP was happy with my `Porsche, The Ultimate Guide,’ but Crowood wanted me to revise the 928 book, which I was willing to do. The deal breaker for me was Crowood’s unwillingness to use images from the various factory produced catalogs. I didn’t think the book would be very good without these pictures. Porsche AG had spent a lot of money having these showroom catalogs printed to entice potential customers, and I’d received permission from Porsche to use whatever I wanted. It was a creative difference of opinion, but I must say I enjoyed dealing with Crowood. They were absolute gentlemen, and I’m sorry that the book wasn’t published. I returned the advance they’d sent me, and that was that. I subsequently made a tentative deal with Bentley Publishing in Massachusetts, but they wanted me to fly to Boston and see their facilities. Even though the book was mostly already written, I just didn’t want to do that, and having written a number of books by this time, I wasn’t concerned anymore about getting published. The money involved didn’t justify anything more than revising what I’d already written and sending it in for publication, and I knew I wasn’t going to make any money on the back end because the 928 was a niche car and the book wouldn’t sell that many copies. By this time, I was no longer interested in the 928 anyway and had moved on to other cars. Author Brian Long subsequently wrote the definitive book on the 928, and probably did as good of a job with it as he had with his book on the Jaguar XJ-S, a car that was so fast and silent that I was actually afraid to drive mine, and got rid of it. 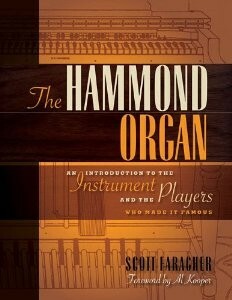 THE HAMMOND BOOK (2010) Self published. I was tired of dealing with publishers by this time. I’d already proved to those people who’d unintentionally encouraged me to work even harder by saying `He’ll never get anything published,’ that I could, indeed, get anything I wrote published, and that I didn’t need an agent to do so. I’ve always loved the sound of the Hammond organ, and have pretty much had one all of my life, but had never thought to write a book on the subject, though in looking back, I don’t know why I hadn’t. My girlfriend wanted to attend a book signing in 1995 and meet English 1960s singer Marianne Faithful, at Nashville’s former Tower Records, who’d always carried my books. 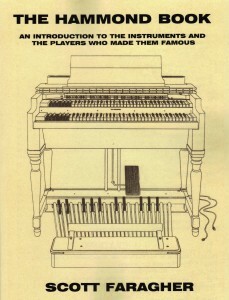 While there, I noticed a book entitled `The Hammond Organ, Beauty in the B’ by Mark Vail. I bought the book and enjoyed it, but realized that it had left out essentially everything I would have included, had I written the book. Additionally, the production quality was really poor, in my estimation. A second, larger revised edition was published two years later. I bought this book as well, and also enjoyed it. These two books were the only books extant on the subject, and they adequately covered the basics. There was really no point in writing another book on the Hammond organ. Still…I kept thinking I could write a different, and possibly, better one. I started writing this book without a publisher, and began shopping it, unsuccessfully, as a proposal. As I had done with my first book, I went to several book stores and began writing the names of all of the publishers who were currently publishing books on music and musical instruments. I contacted all of them, but most of them thought there was no market for such a book. In other words, since they were for the most part unfamiliar with the Hammond organ, it wasn’t worth fooling with. Again, I do what I always do when I encounter resistance, figure another way to accomplish my objectives. As I proceeded, I at times thought that there really wasn’t enough material available for a legitimate book beyond what had already been written, so I’d work on something else for awhile. Ultimately, I’d basically abandoned the project, as I had with my book on the Porsche 928, even though I’d written quite a bit. Finally, one day after numerous starts and stops, I decided once and for all to write the definitive book on the subject, and got busy. Once I’d made a definite commitment, things became more focused, as they usually do. As always, one thing leads to another, and I everyone I spoke with moved the project further ahead. But the truth was, I still didn’t have a publisher, and decided to publish it myself. When the finished product reached my hands, I was glad to finally have it over and done with. I’d been working on it literally seven years, on and off. At least, there was an end to it now, and it was finally published, even if self-published. It was available through Amazon, and I sold individual copies on ebay. I sold every one I put on ebay, but it was a time consuming process. At length, I realized that I really wasn’t satisfied with the final product. All of the images I’d used were black and white, and the quality was ok, but not great. Also, I hadn’t bothered to get any back cover comments, although it would have been easy enough to do so. Again, I thought I could do better. There were other artists I could have interviewed, but hadn’t. Back to the drawing board. I began shopping the book to mainstream publishers again, this time using my self- published version as a basic model of what I had in mind. In fact, there were actually very few publishers who were capable of producing a work of the scope and quality I’d envisioned. At length, John Cerullo, of Hal Leonard Publishing bought the book. It was a strange deal in the sense that John would say things like, `I think the book should be published’ but that was as far as I got with him for several months. Eventually, we struck a deal and I received a fair advance, as well as expense money (for the first time), however, I was again working for a royalty of 10%, something I’d vowed never to do again. 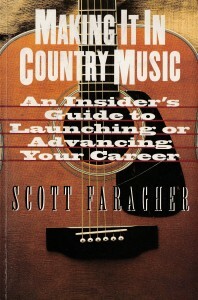 After Hal Leonard had agreed to publish the book, I had five or six months before they wanted the finished manuscript. I went into immediate overdrive, making the book the best it could be, which essentially meant adding additional photos, and interviewing everyone else associated with the manufacture or playing of the instrument who I hadn’t previously spoken with. I also got Al Kooper to write an introduction to the forthcoming book, as well as numerous back cover comments from famous rock and jazz organists. When I received my first copy of the new book, I was truly pleased. The book contained a better cover than my original one, as well as high quality black & white, and color photos. It was indeed the definitive book on the subject and will probably remain so, since I doubt that there is anyone, other than me, who would be willing to spend seven years on the project. Not only that, but many of the legendary greats of the Hammond organ who I’d interviewed have died since the book was written. My only complaint with this really excellent book is that the numerous back cover comments which were not actually used on the back cover, should have been put on a separate page within the book. Anybody familiar with jazz, for example, knows who Rudy Van Gelder is. He’s reclusive, eccentric, won’t do interviews, and will hardly speak to anyone. Be that as it may, he is one of the most significant persons in jazz. It took me literally a year and a half to get a back cover comment from him about my book, and for some reason my editor didn’t include it. Hal Leonard, and possibly John Cerullo, had passed on the book twice prior to publishing it, which again illustrated to me the importance of persistence. You’ve probably noticed that many squirrels get run over because they get in the middle of the street, and once there can’t decide which way to go. For me, once a decision has been made, I usually find a way to make it work.